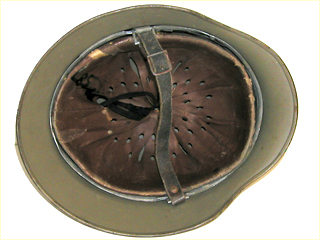 During and following the Second World War the Norwegian army used British MkII helmets. 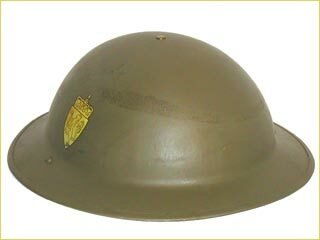 These remained in service until being replaced by left over stock of German M35 helmets, and later American M1-style helmets. 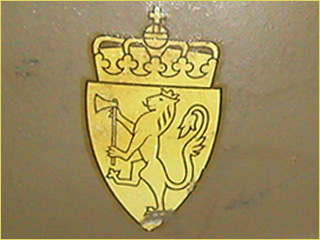 Most of the MkII feature the Norwegian army decal, of which four types are known to exist. 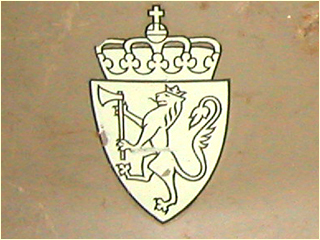 These decals are either on the front, or (as with this example) as a pair on the sides of the helmet. 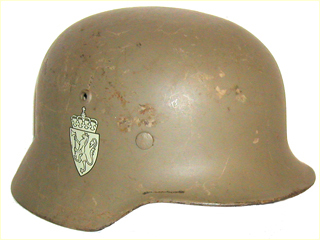 Following the Second World War the Norwegian army used left over stock of German M35 helmets, until being replaced by American M1-style helmets. Most of the M35 helmets feature the Norwegian army decal, of which four types are known to exist. These decals were typically applied as a pair on the sides of the helmet.